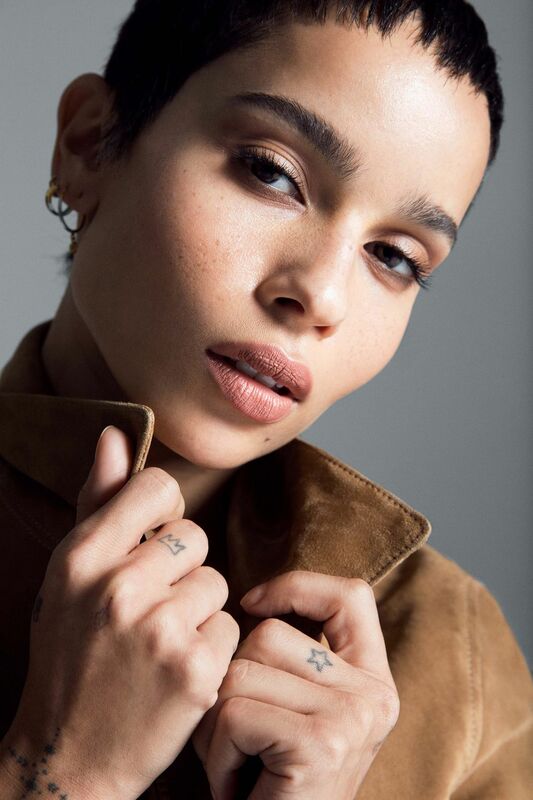 As an actress, singer, model and global make-up ambassador for YSL Beauté, Zoë Kravitz’s achievements are vast for someone who’s still shy of her thirties. The Big Little Lies star, 29, was recently granted another gig as the face and spokesperson for the fashion house’s famed fragrance, Black Opium, lending her a platform to talk about all things beauty and what that world means to her. First in line when she landed in London this September, we met with Kravitz to understand her beauty philosophy and the messages she hopes to share as a role model. Spoiler alert: her approach is very refreshing. HB: The beauty industry is, belatedly, celebrating diversity at the moment – but what else do you think needs to be done for things to feel more inclusive? HB: What’s your beauty philosophy? HB: What does it mean to you to be the face of the Black Opium fragrance? HB: Black Opium is already an iconic fragrance, but how are you hoping to communicate its new story? HB: You’ve described it as “bold”, what does bold mean to you in a beauty sense? HB: How else do you personally relate to this fragrance? HB: We love your short hair in the Black Opium campaign, do you feel very different with short hair? HB: And how does long hair make you feel? HB: As you believe beauty begins with what you’re putting into your body, how would you describe your diet? HB: Would you say you eat intuitively, then? HB: What health and beauty advice have you been given from your family? HB: Did you ever make any big beauty mistakes? HB: What are your top three beauty products? HB: What have you learnt about yourself as you’ve grown older? HB: What’s the one piece of advice you’d give your teenage self?